Geeks rejoice! "Horde Busters" with Gregory Blair is coming! 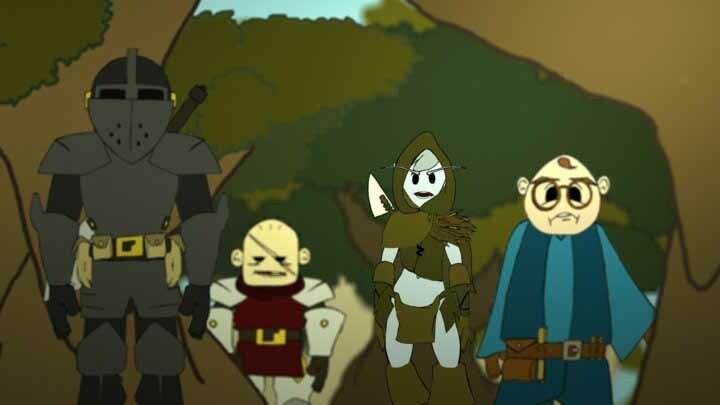 The new, animated fantasy/adventure show "Horde Busters" is in production, promising geek-tastic thrills galore! And Gregory Blair has been tapped to voice Chesmere, one of the leading roles. July 7, 2011 - PRLog -- The new, animated fantasy/adventure show Horde Busters is in production, promising geek-tastic thrills galore! And Gregory Blair has been tapped to voice Chesmere, one of the leading roles. The story of Horde Busters is a valentine to the beloved role-playing games that have become ubiquitous. The realm is plagued by roving bands of Orcs, Goblins, Giants, and Undead and the Horde Busters are looking to increase their numbers to battle the brood and collect the bounty. Schotzy (a dwarf wielding a wicked Waraxe) and William (an armored human with stellar swordsmanship) join forces with Cialiste (half elf, half woman and all kickass) and Chesmere (ubergeek and wizard emergent). Together, they will use an arsenal of brains and blades, tricks and traps, spectacular spells and more. Adventure just got more animated! Horde Busters is the latest creation from the folks at Longshadow Productions, a digital content production company specializing in effects-driven material. Check out their site www.longshadowfilms.com for more info. You can also check out more about Gregory Blair's work at http://www.2writers.com/GregoryLinks.htm. Horde Busters. Adventure just got more animated!